FIFA ousted its judge and prosecutor on Tuesday in a move the disgruntled pair said jeopardizes the governing body's integrity and the future of soccer. ​Even after a year under new leadership, FIFA is still pleading with the world: Trust us. Especially when FIFA president Gianni Infantino has been accused of ousting the ethics leadership whose mission was to clean up soccer's scandal-tainted image. German judge Hans-Joachim Eckert and Swiss prosecutor Cornel Borbely decried a "clearly politically motivated" decision by the Infantino-led council on Tuesday to prevent them remaining in their jobs. "This will inevitably lead to a renewed loss of trust," Eckert and Borbely said in a statement after discovering they were being replaced, "and further hurt the already tarnished image of FIFA." So much for the "new era" Infantino said he was ushering in after succeeding the discredited, banned president Sepp Blatter last year. Eckert, who brought down Blatter in 2015, and Borbely said the new leadership has "accepted jeopardizing FIFA's integrity, and, hence, the future of the game." 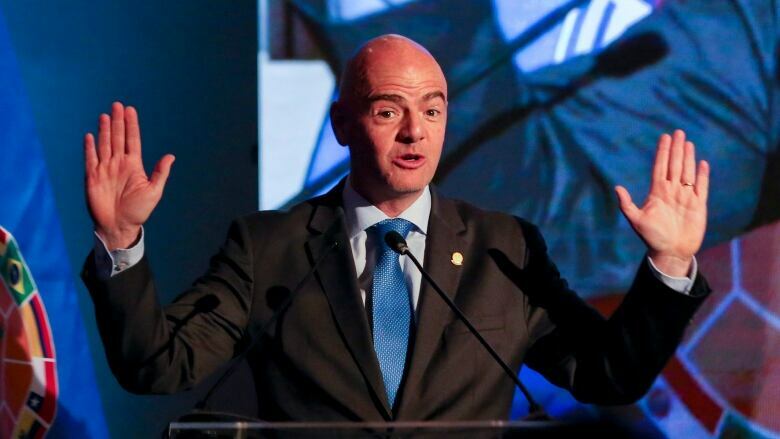 But the outbursts from respected figures make Infantino's "crisis is over" declaration at last year's gathering of soccer's 211 nations looking remarkably outlandish. Criminal investigations are still exposing shady transactions. The suitability of members of the ruling council remains in doubt. Reforms intended to curb the powers of the president and restore FIFA's credibility are being eroded. Against this backdrop, FIFA has been trying to persuade commercial backers to sign up after so many were scared off by the corruption that plagued the Blatter's 17-year reign. FIFA's leadership was able to start its congress week in Bahrain by trumpeting the arrival of Qatar Airways to fill the airline sponsorship category that has been vacant for more than two years. But the deal was anticipated given it is the state-owned carrier of the 2022 World Cup hosts. A true test of the confidence of FIFA's new hierarchy will come when major international corporations sign up that are not from China, Russia or Qatar — the source of all of FIFA's new World Cup deals in recent years. New sponsors in traditional strongholds like Japan and the United States have yet to convince shareholders they should partner with a scandal-tainted organization. Many were scared off in 2015 when FIFA's reputation was shredded by widespread bribery being exposed after high-ranking executives were arrested in Zurich hotel raids. "We hope that more (sponsors) will come before the end of the year," FIFA secretary general Fatma Samoura told The Associated Press. "That was a strong signal from Qatar Airways to recognize the new leadership of FIFA is working toward restoring the image of FIFA and that there is climate of trust that is really here to push for more partnerships."